If the defendant provides a sample of breath or blood, the DUI conviction rate in Florida is as high as 90 percent in some jurisdictions. So, winning such cases in court is definitely an uphill battle. However, it is not impossible to discredit chemical samples to an extent that one juror finds a reasonable doubt in the evidence, and that is all that a DUI defense attorney must accomplish in these cases. The defendant is presumed innocent until proven guilty beyond a reasonable doubt, and if that proof falls even a little short, the presumption still applies. What Are Some Breathalyzer Flaws in Tampa? Today’s Breathalyzers are smaller and easier to use than their predecessors, but the underlying science has not changed much since the devices first appeared in the 1950s. Once the jury understands that a Breathalyzer result is much like a TV picture from an Ozzie and Harriet-era television set, they are often wary of the device’s results. Acetone Levels: Smokers, diabetics, and certain other individuals in Florida have high acetone levels in their breath; this chemical substance is a by-product of the body’s energy production process. 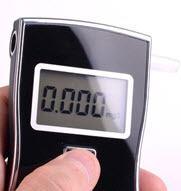 The Breathalyzer catalogues this substance as ethanol, artificially inflating the breath alcohol number and therefore affecting the BAC extrapolation. Mouth Alcohol: Tampa officers must continually monitor defendants for at least fifteen minutes prior to the test to ensure that they do not burp or belch. If they do, alcohol escapes from the stomach into the mouth and skews the results. Unabsorbed Alcohol: If the defendant has had any alcohol within the last hour, that alcohol has not been absorbed into the blood via the liver, so the BAC estimate will be artificially high in these cases. To highlight these flaws for the Hillsborough County jury, attorneys often partner with degreed chemists or perhaps chemistry graduate students. In contrast, the prosecutor’s “expert” is usually a Breathalyzer technician, who may have almost no training in this area apart from attendance at some prosecutor-sponsored seminars. Flaws may also be present in the device’s technical operation. If this gadget is not properly calibrated, or if the prosecutor cannot prove proper calibration, the results are invalid essentially as a matter of law. Furthermore, the officer who administered the test must be qualified to use that particular model, and not simply qualified to use Breathalyzers in general. If the Breathalyzer result is significantly above the legal limit, perhaps .12 or higher, these flaws may not make a difference, since a jury could conclude that even if the result was greatly off, the defendant still had a BAC above .08. However, in borderline BAC cases, presenting compelling evidence about the Breathalyzer’s flaws may make a big difference. The Breathalyzer is not perfect. For a free consultation with an experienced criminal defense attorney in Tampa, contact The Matassini Law Firm, P.A. Convenient payment plans are available.